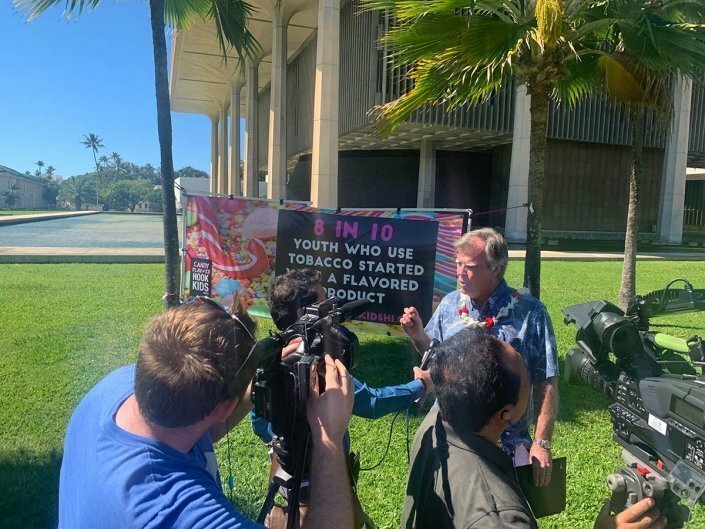 Permission is granted for media outlets to use any images below in your reporting. 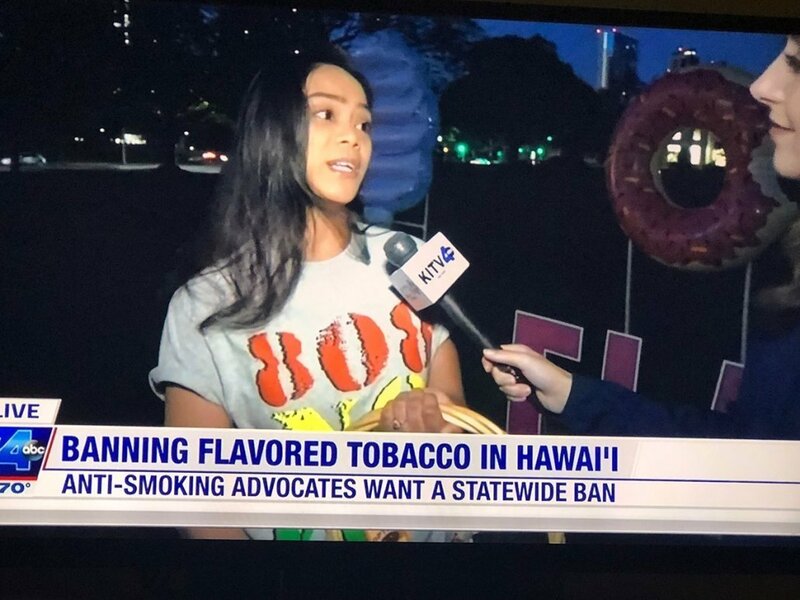 No attribution is needed. 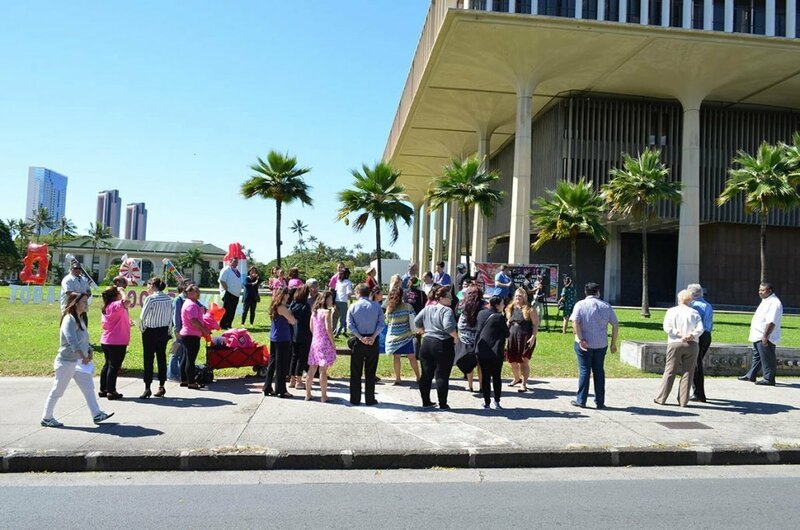 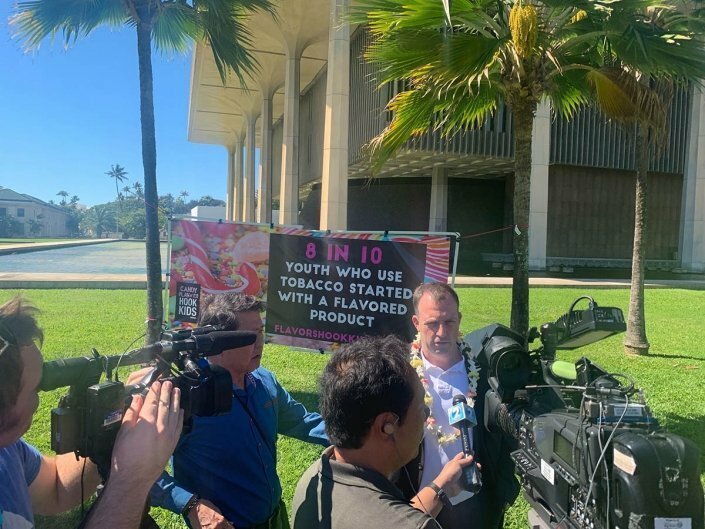 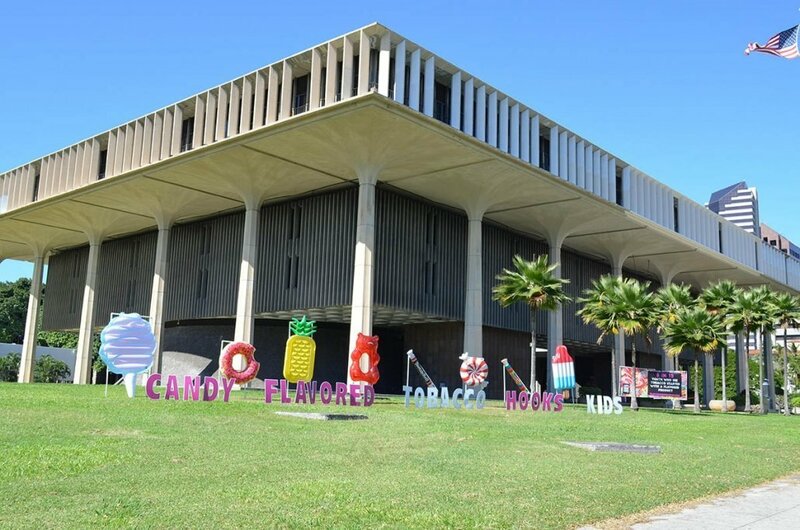 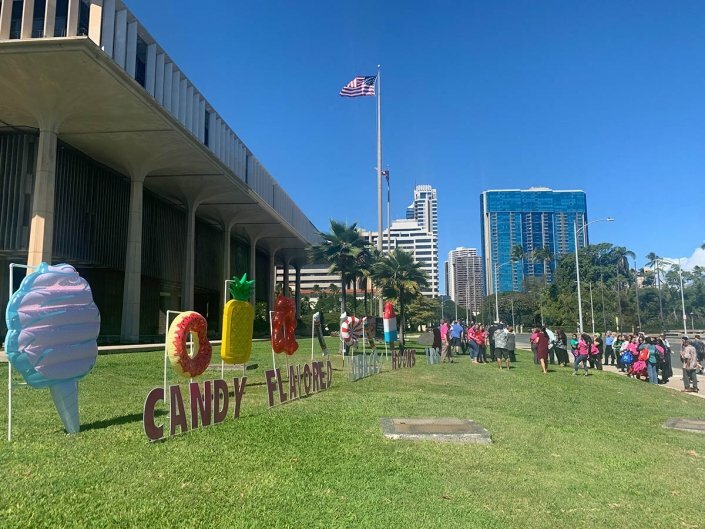 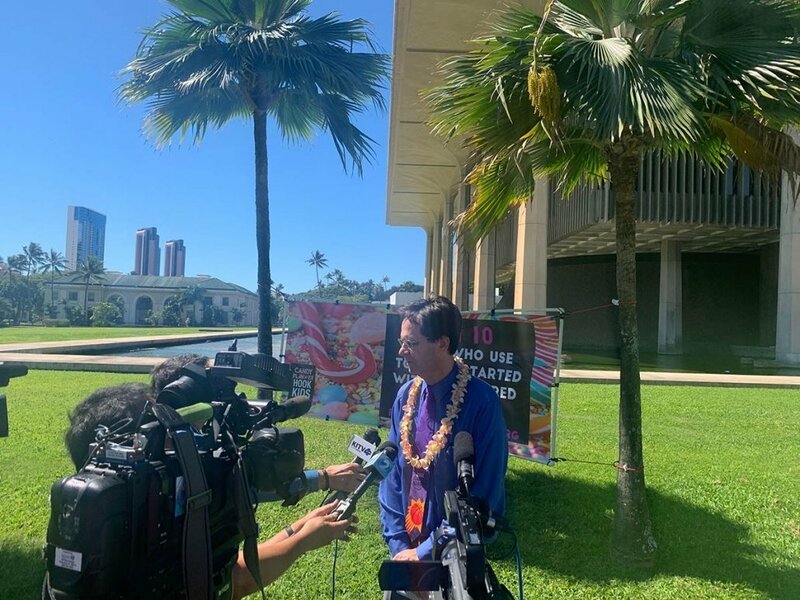 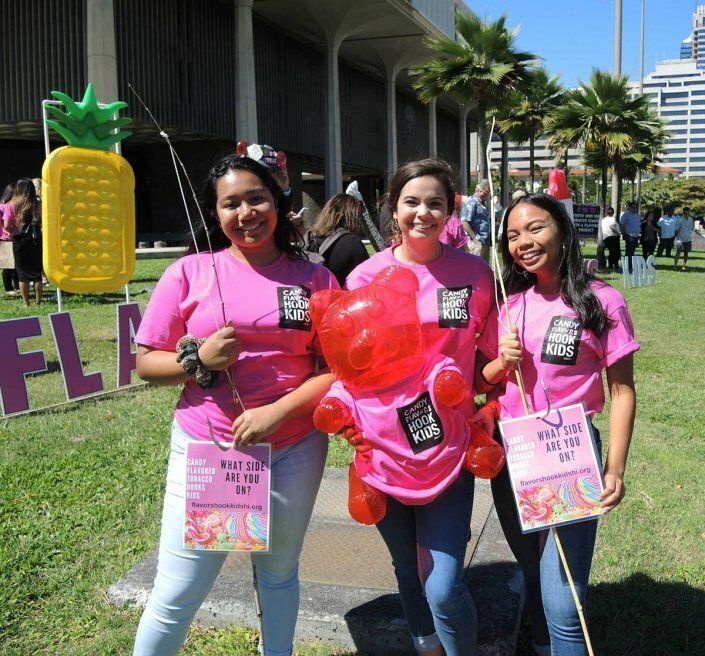 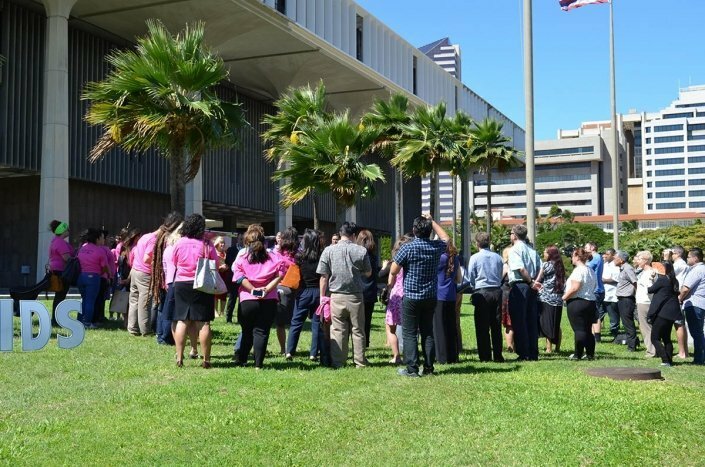 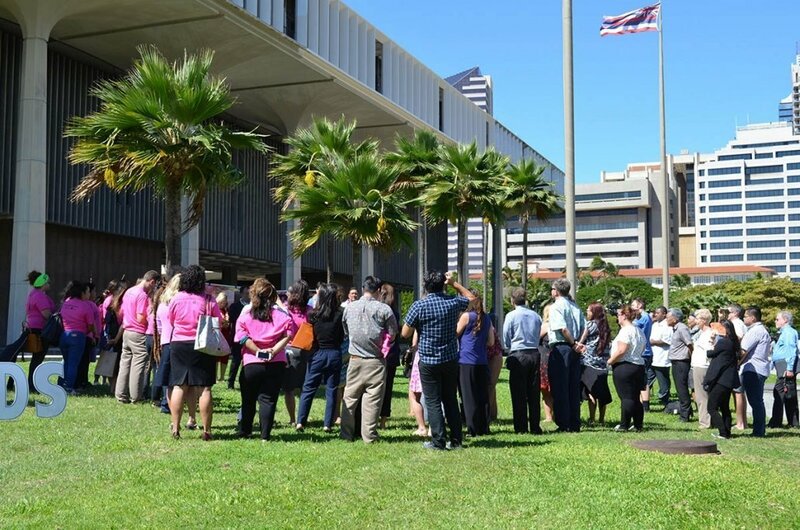 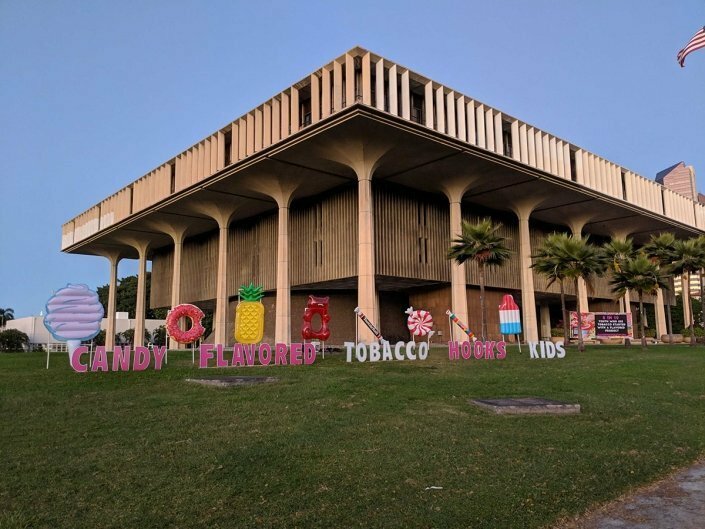 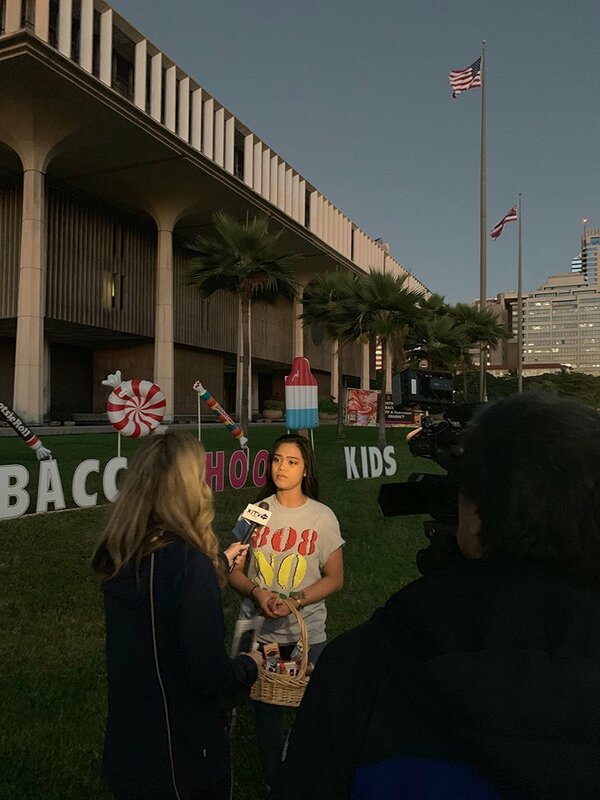 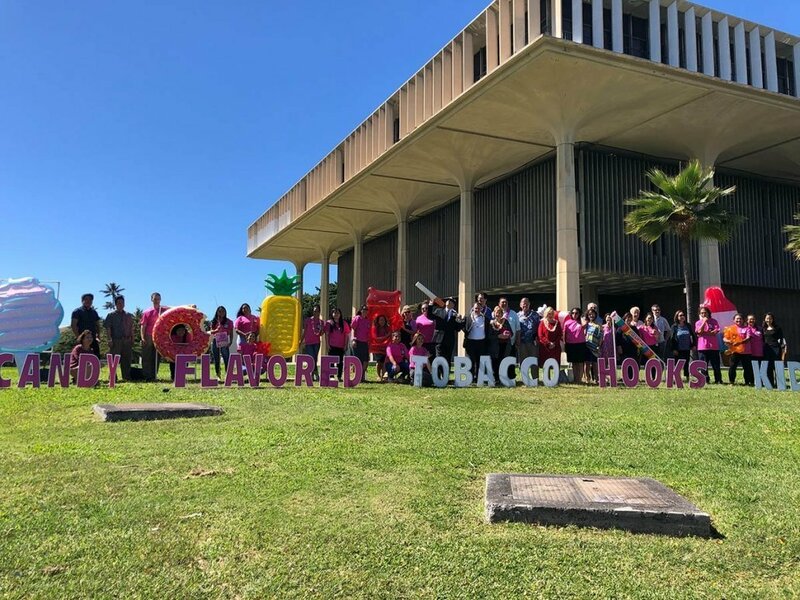 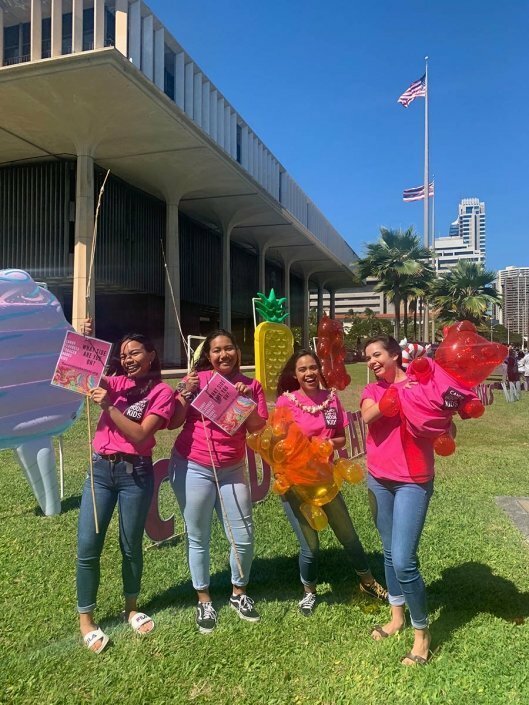 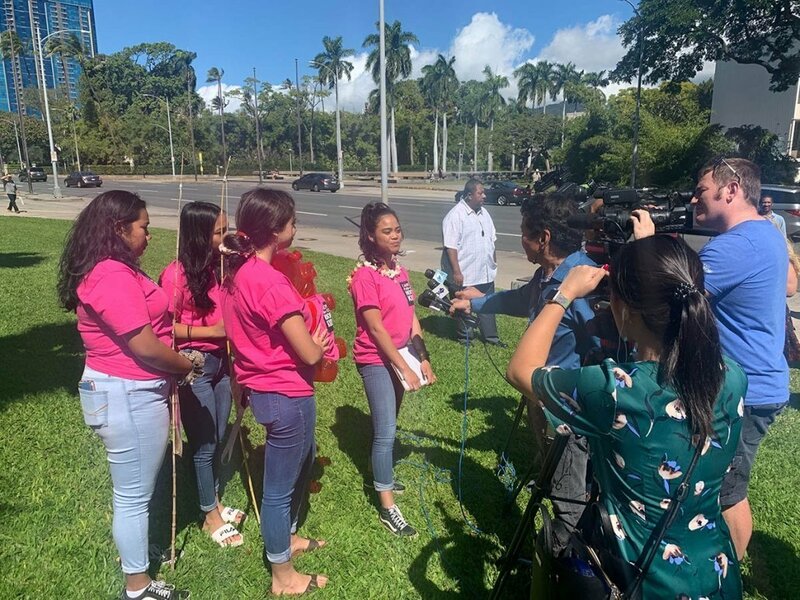 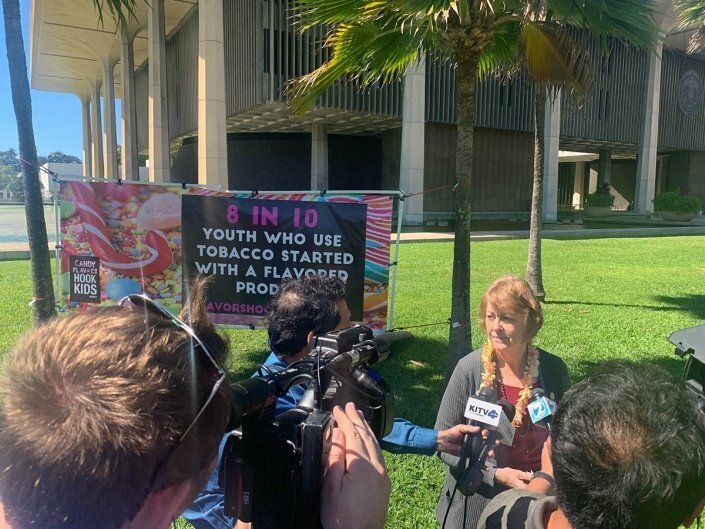 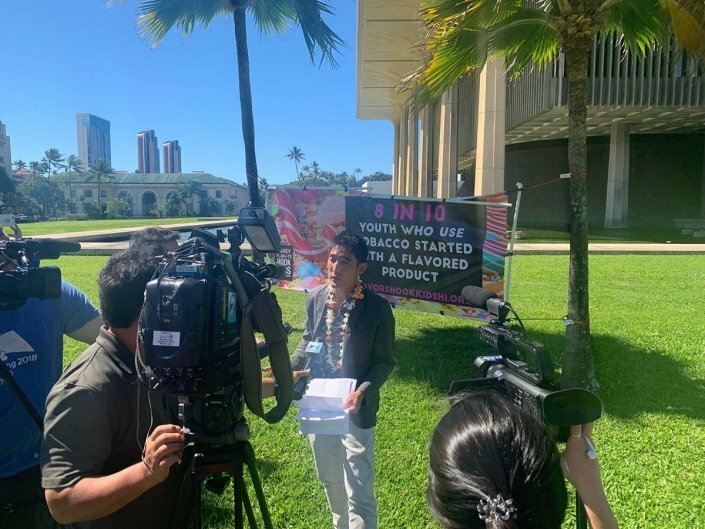 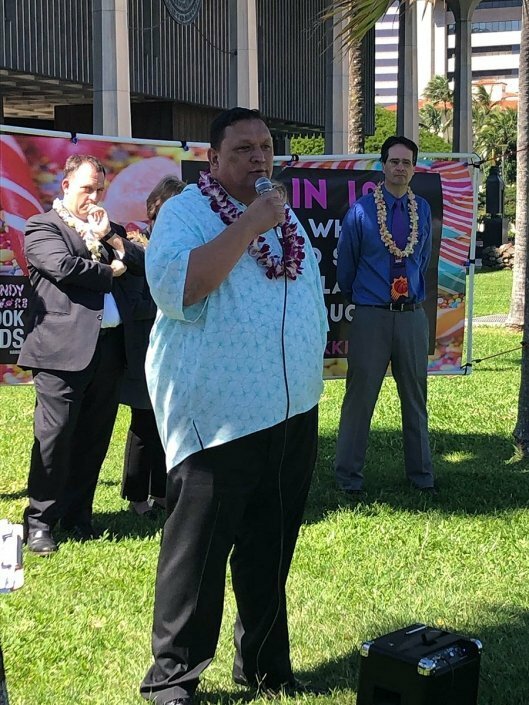 Back in September, the Youth Council (YC) selected ending the sale of flavored tobacco in Hawai‘i as their policy priority for this legislative session. It’s been nonstop ever since. YC members have been raising awareness about their policy by meeting with legislators, making community presentations, submitting testimony, and writing letters to the editor. 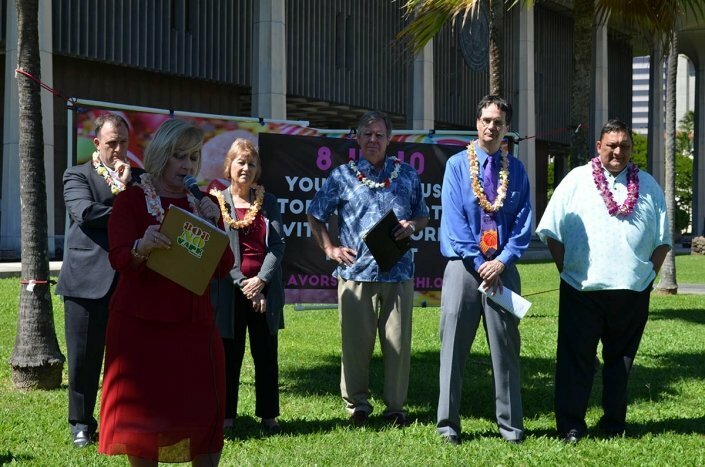 They have also received endorsements from more than 120 organizations and community leaders. 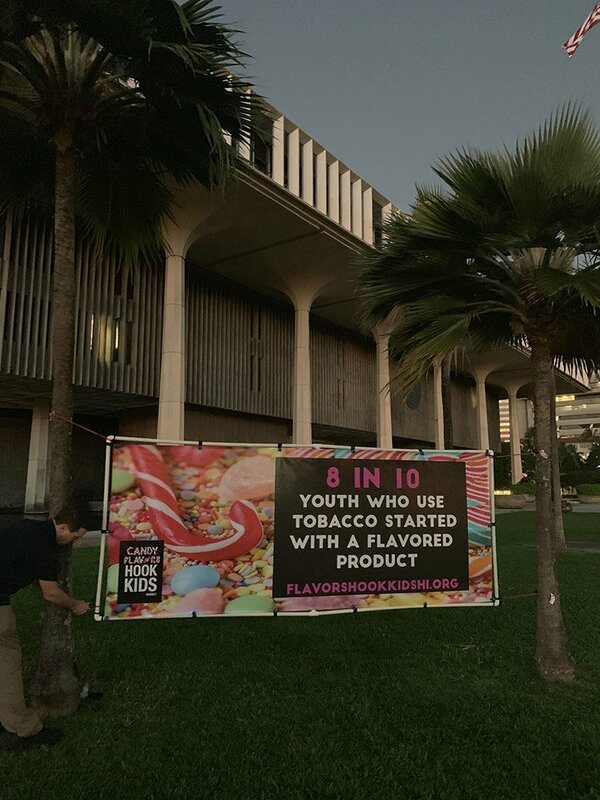 On Monday, February 4, HIPHI and the YC rolled out a visual awareness display at our Flavors Hook Kids event at the Capitol. 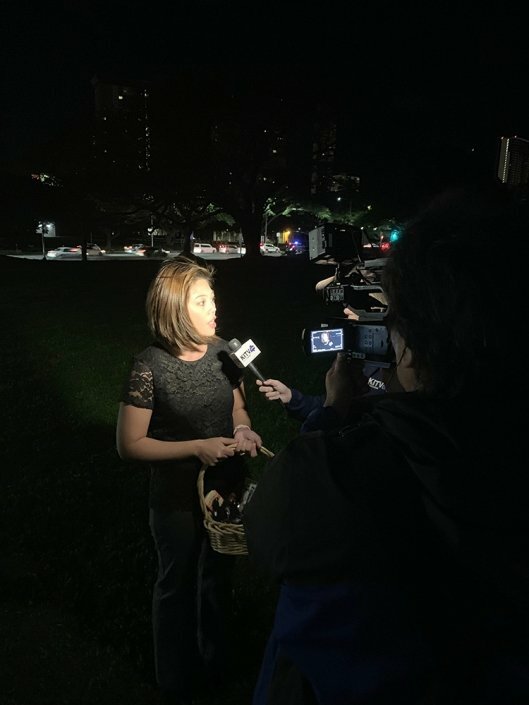 The event included a press event and was widely covered by radio, TV, and print media. 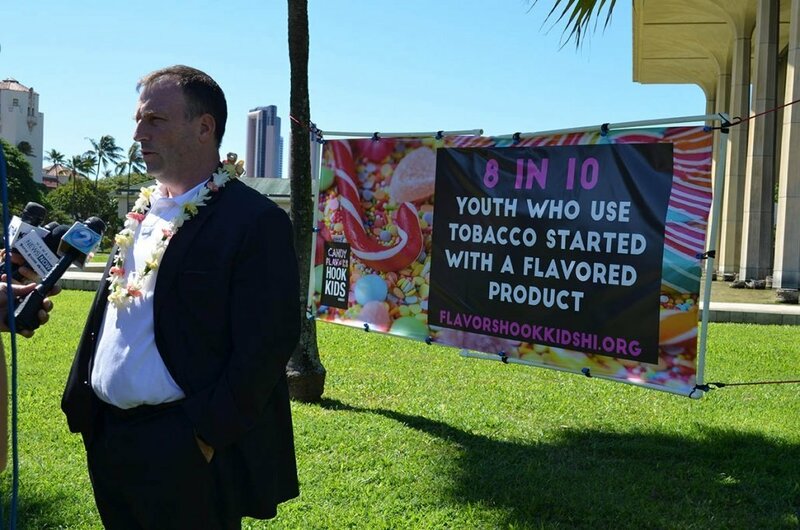 Advocates gather at Flavors Hook Kids Event.